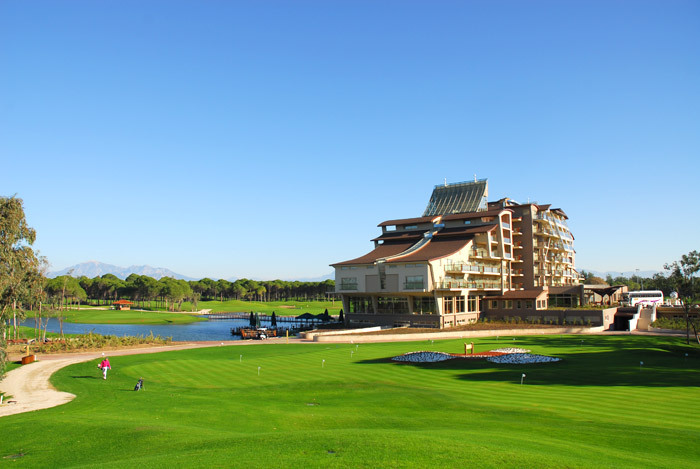 The Sueno Golf Resort Hotel is the only hotel in Belek to be located on the actual golf course which makes Sueno Golf hotel a unique and popular option for those looking for a clubhouse ambience. 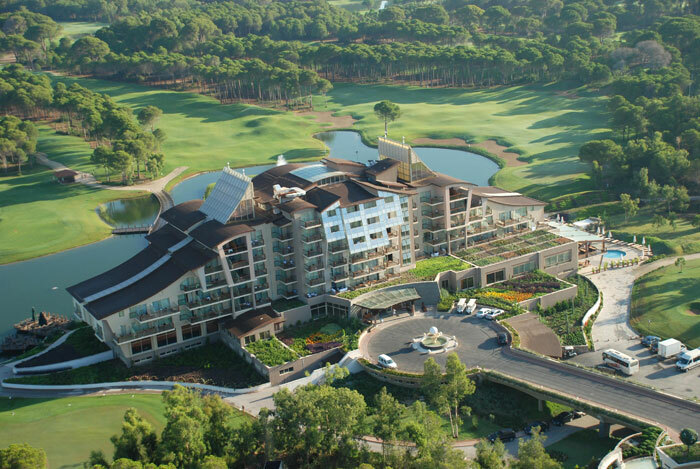 One of the smaller hotels in Belek designed completely for golfers, Sueno Golf Hotel is a great option for groups who benefit from all the facilities being close together. 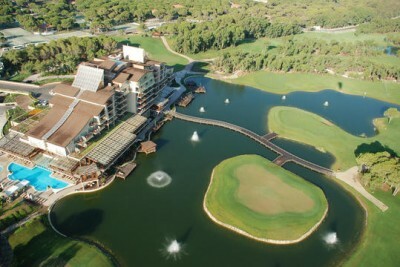 Sueno Golf Hotel has a classical feel, and many liken the shape to a large ship. 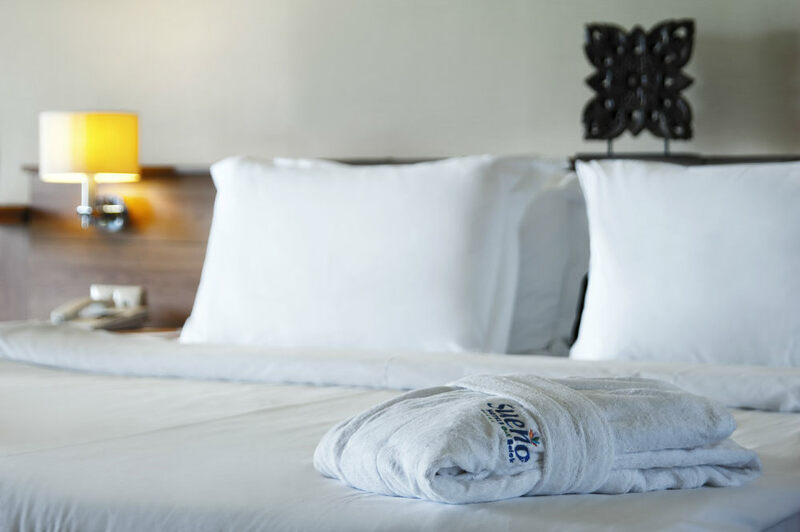 With wood heavily featured throughout, this hotel feels like a large club house at times, whilst still retaining a 5* feel, ideal for golfing enthusiasts. There is less choice than in some of the larger hotels when it comes to food and beverage, but the quality is good. 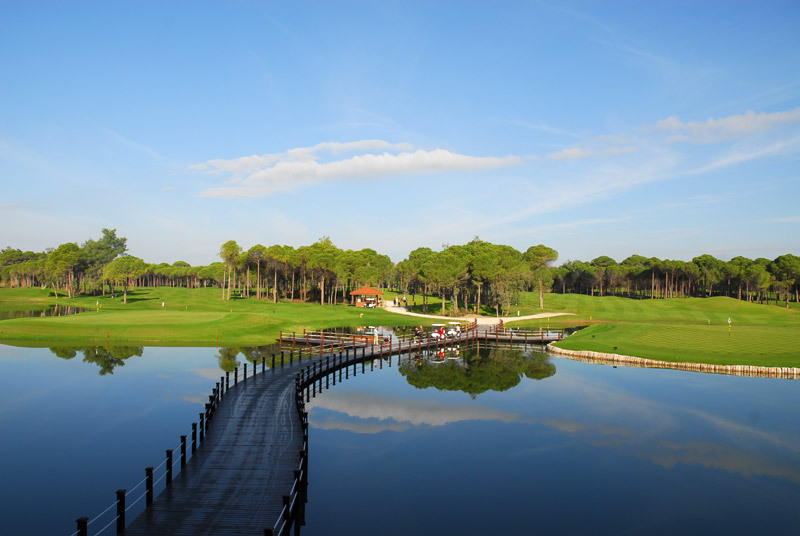 Take time to enjoy a beer overlooking the greens or browse around the onsite Pro Shop. There are 1 main and 6 A La Carte Restaurants available (Thai, Italian, Fish, Mexican, French and Japanese). 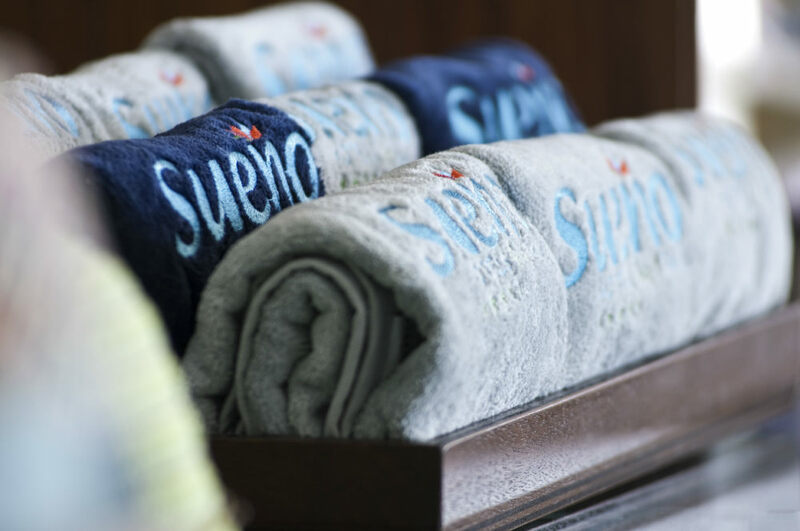 Sueno Hotel has 1 snack bar and 6 bars. There are 2 tennis courts, a basketball court and 3 Football fields. 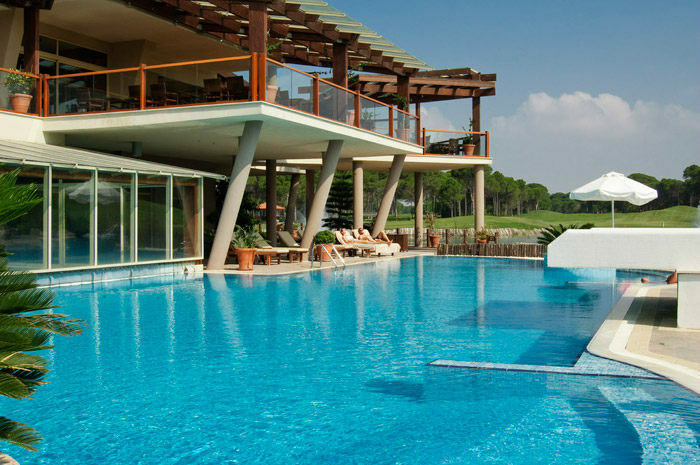 There is an indoor and outdoor pool with a total size of 360m2. 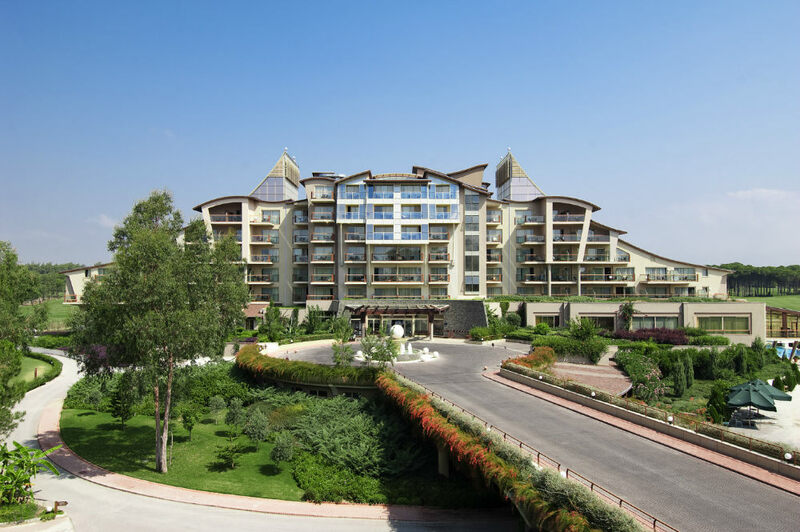 The facilities and activities include: Table Tennis, Table Football, Billiard, Atari games, Fitness centre, Beach Volleyball, Aerobic, Pilates, Step, Gymnastics. 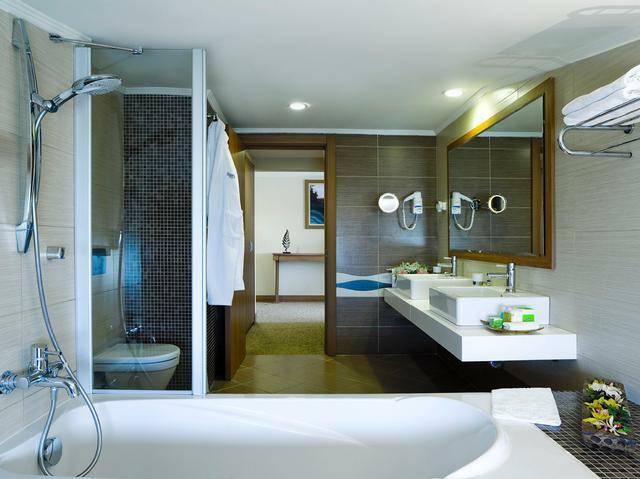 The Spa centre offers a number of health and care services including Turkish bath, sauna and steam bath, massage, and beauty centre.